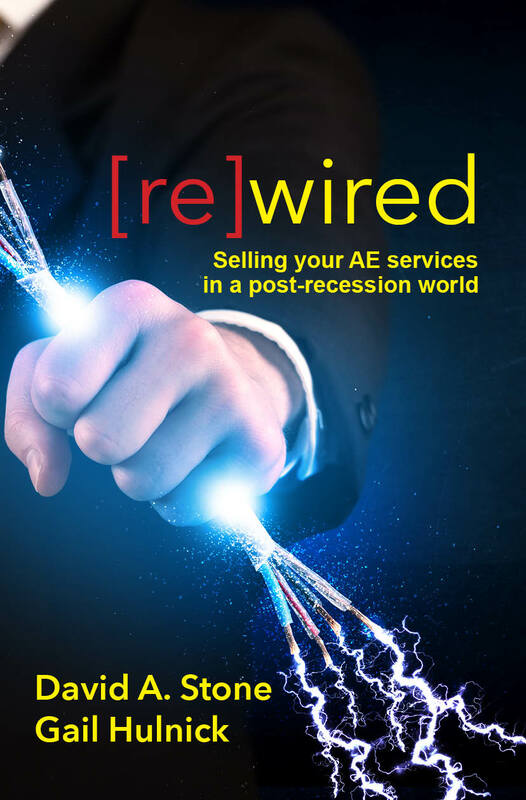 We are living, working and running AE firms in a post-recession world. It’s a world that looks and feels vastly different than the one we knew. Competition is up. Client loyalty is down. QBS is in the Intensive Care Unit and your services are considered a commodity. Welcome to the new normal. It takes courage to admit that it’s our actions that have brought us to where we are today. If we want to go somewhere else, we’d better embrace some new ideas. This disruptive book will introduce you to, and help you embrace, unconventional ideas and radically new marketing approaches that will take you to a different destination. This book is here to toss conventional wisdom on its head. To hang on to the ‘wisdom’ and chuck the ‘conventional’ out the window. In this new normal, many firms have become unplugged from the clients they’ve served for years. It’s time to get re-wired. 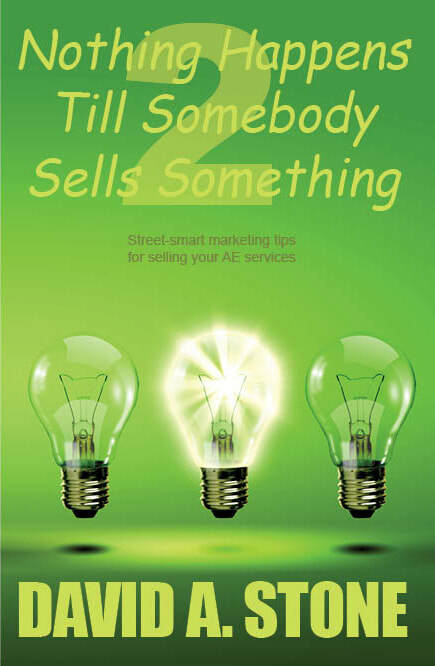 A gutsy, irreverent and exceedingly useful volume, crammed full of hard-nosed, street-smart advice for anyone trying to sell AE services in today’s cutthroat world. A seasoned veteran of the AE circus, David Stone knows more about marketing AE services than the NSA knows about your shoe size. In his trademark breezy and conversational style, David walks you through the maze of choices as you position, brand and sell your services and work to keep your precious clients coming back for more. Debunking conventional wisdom and adapting great ideas from unexpected places, David always makes his advice directly relevant to your firm. Never one to sit quietly for too long, that irreverent and irrepressible Stone is at it again. Always willing to cut through the conventional wisdom, this street-smart new book tackles even more of the clichés of marketing and business development in the AE world. This book was created from wisdom that’s been collected over four decades in the design and construction world. It’s built on the lessons that have been learned in firms of every size and shape imaginable. And every word of it is relevant to your firm today. This isn’t a book to read once and put away. It’s to be read again and again. So read it, pass it around, talk about the ideas, think about how they might apply, then get to work on making changes! The AE world is evolving at a furious pace. Client demands are rising as fast as their loyalty is falling, mega firms are throwing their weight into smaller and smaller markets and the pressure on fees could turn coal into diamonds. Into all this upheaval, Gail Hulnick and AE marketing guru David Stone bring a clarity of vision, a throw-out-the-old-rules attitude and a logical way forward for today and beyond. With an insight and perspective from 25 years of advising design firms of every size and shape imaginable, they bring ideas that are fresh, irreverent and eminently useful. Ever ready to collect and combine insights from unexpected corners, this book explores thoughts on everything from ugly headshots to Google Earth to the genius of Richard Branson. This book lays the ideas and solutions out for you. 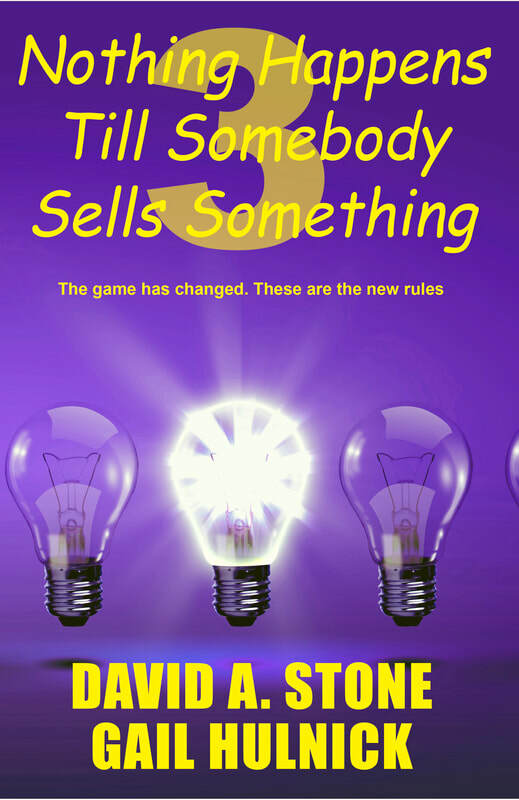 Now it’s your turn to convert them into a steady supply of profitable work. 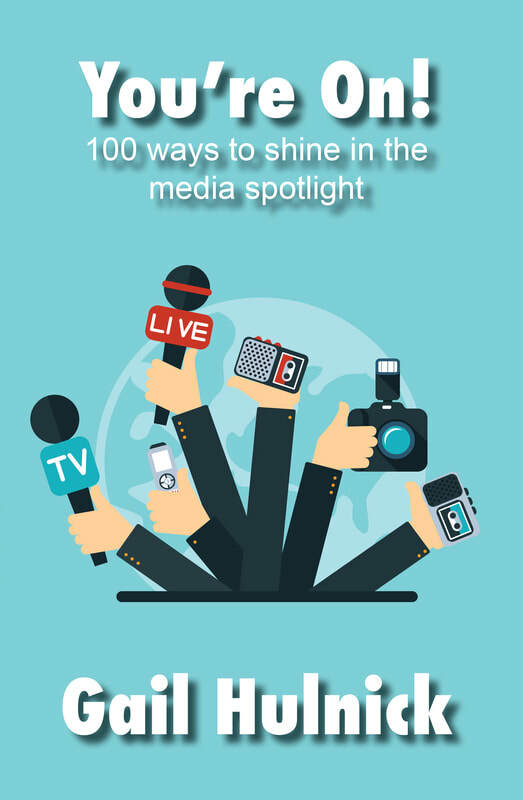 This book is a quick guide to methods you can use to improve your results in a media interview — whether you are answering the questions or asking them. Managing a communication crisis? Seeking publicity? The tips you find here will help you make the most of a media opportunity, in business, politics, sports, the arts, and your community. Author Gail Hulnick distills more than 20 years as a TV news beat reporter, radio talk show host, and media interviewer into this valuable reference.